Our approach is compassionate, comprehensive, and patient-centered. By involving patients in their neurological care, we arm them with the information they need to take full advantage of their treatment, and be involved in the process. 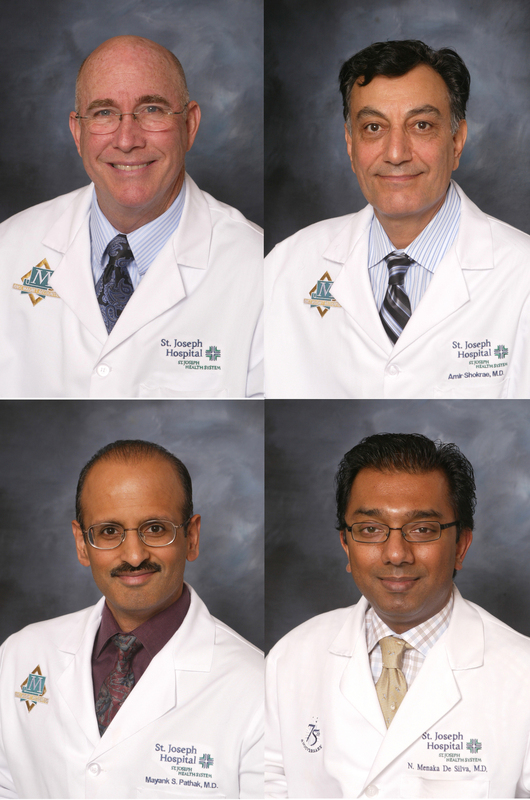 Pavilion Neurology Medical Group is a group of four private practice board certified neurologists providing neurology consultations to patient’s at St. Joseph Hospital in Orange, California, and to patients from the surrounding communities. We are dedicated to providing thorough, cost-efficient, and timely evaluations for our neurological patients. We accept most insurance plans. We are all general neurologists but with special interests as noted in our Curriculum Vitaes. Please click on these names for detailed CV's - Dr. Dauben, Dr. Shokrae, Dr. Pathak & Dr. DeSilva - and click the Neurologists section for short bios. We are fortunate to be able to work in affiliation with St. Joseph Hospital, the largest hospital in Orange County, and through the hospital and its ancillary services we can provide the very latest in high tech testing and therapies. We in turn provide our services to the hospital for the interpretation of neurodiagnostic studies including electroencephalography, carotid artery and transcranial Doppler testing, intraoperative evoked response monitoring, clinical evoked responses, electromyography, and nerve conduction velocity testing. We are actively involved in providing Emergency Room consultations for patients with hyperacute strokes to provide as many patients as possible with thrombolysis and other interventional therapies to reverse or minimize the potentially devastating consequences of cerebral infarction.